Home » Balance Transfer » Can I Find a Balance Transfer with Bad or Fair Credit? If you’re struggling with credit debt and looking for a way out, you might have considered a balance transfer. But what exactly is a balance transfer and how does it work? A balance transfer is when you take existing debt from one or more credit cards and transfer it to another credit card. Balance transfer cards typically charge a fee of 2 to 5 percent of the amount transferred, but you can find some offers with no balance transfer fee. The best balance transfers are accompanied by a 0% intro period during which you will not pay interest for a certain amount of time. But here’s the catch: Balance transfers are available for people with good or excellent credit. If your credit score is fair (we consider scores below 660 fair), you will have a slim chance of being approved for a balance transfer card — although you do have some options that we explain below. No one likes to carry a balance or be charged high interest rates, but we understand that there are times when you may need to carry a balance on one credit card or possibly more. But because credit cards carry such high interest rates, you may find yourself fighting a balance you just can’t seem to pay down. You’re making your payments on time, but you’re not actually making a dent in your debt because interest is piling up at the same time. Balance transfers give you the chance to possibly save thousands of dollars on interest payments. The key is to nab a balance transfer that comes with a good 0% intro APR offer. By completing a transfer and removing the cloud of interest charges from overhead, you’re able to use your money where it’s needed — to pay off your debt. Can I get a balance transfer offer with fair credit? If you have a credit score between 600 and 659, you’re classified as having fair credit. With fair credit, there are really no great balance transfer offers for you. 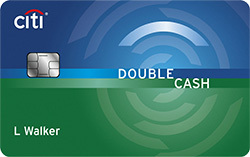 The majority of balance transfer cards are reserved for people with good or excellent credit. As a result, you will have a hard time qualifying for a balance transfer credit card. You can get a good idea of your credit health by checking your score with free tools like the Discover Credit Scorecard. If your credit score puts you somewhere on the border of fair and good credit, it may be worth it to see if you prequalify for a balance transfer anyway. These scores are estimates, after all, and you won’t know for sure if you qualify for a balance transfer until you really try. You can check if you prequalify for balance transfer cards using tools recommended on MagnifyMoney*. A prequalification check means they’ll perform a soft pull on your credit, and it won’t hurt your score. It’s a good choice to check if you prequalify rather than applying for a credit card you most likely won’t qualify for, since an application will perform a hard pull on your credit and lower your credit score. If you’ve been prequalified, you can apply for a good balance transfer card with an educated guess that you’ll be approved. Be careful not to apply for too many cards, though, as a true application will count as a hard inquiry on your credit report and can reduce your credit score. Can I get a balance transfer offer with bad credit? A credit score below 599 is considered bad. With this level of credit, it isn’t possible to get a balance transfer card. If you have bad credit, the best thing you can do is work to improve your score. Practice good credit behavior and be patient as your score rises. An alternative is to get a personal loan* and use that as a means of debt consolidation. This may be a good option if your balance is on a credit card with a high APR and you are sure you’ll save money by consolidating. As someone with bad or fair credit, odds are you won’t qualify for a balance transfer credit card. Don’t worry that you’re stuck with your debt; you still have options. Below we explain the benefits of improving your credit score, checking your credit report, and how a personal loan can help alleviate your debt. An important first step is simply to improve your credit until your score is high enough to qualify for a balance transfer card. Make it a goal to pay at least your minimum due every month to avoid late payment fees. Also set up autopay if available (otherwise set a calendar alert). These steps and more will help you raise your credit score. 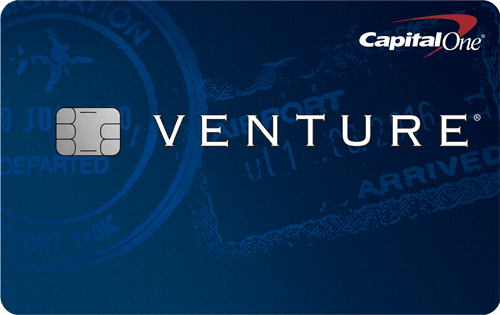 A great way to build credit is to take out a secured card. Coupled with proper credit behavior, you can build your credit score and raise it from bad or fair to good. Secured cards are more likely to accept those with less than perfect credit, and using a secured card effectively can establish good credit history. Soon, you’ll be on your way to good credit and can qualify for a balance transfer card. You should also keep track of your credit report. You are entitled to a free credit report every year from each of the three credit bureaus (Equifax, Experian and TransUnion). Annualcreditreport.com is the most reliable source to attain your credit reports. By checking your credit report, you can see if there are any errors that may be a factor of your low credit score. Dispute any errors on your credit report with the credit bureau. You can take out a personal loan if necessary to avoid high APRs on your credit card. Unlike credit cards with variable rates and numerous fees, personal loans are fairly simple — a bank lends you money, most often at a fixed interest rate, with a fixed payment over a fixed period of time. Before you decide to take out a personal loan, be aware of the risks. The major downside is the high interest rates you will likely face if you get a personal loan with poor credit. Again, see if you prequalify for a personal loan before you apply and see what rates you are offered. LendingTree has a personal loan tool*, which allows you to fill out one short online form and gives you the potential to receive offers from various lenders all at once. Because LendingTree’s personal loan tool only performs a soft pull, you won’t hurt your credit score in the process. Simply select “Credit Card Consolidation” and fill out the form to get your personalized rates. Whether or not you decide to move forward with the personal loan will depend on how the math shakes out — once you account for all the personal loan fees and interest charges, are you saving money by swapping credit card debt for a personal loan? Once your credit is considered good — a score between 660 and 699, check out the best balance transfer offers from our partners.